Shay Waterworth reveals the names on everyone’s lips following last month’s annual Wine Design Challenge. 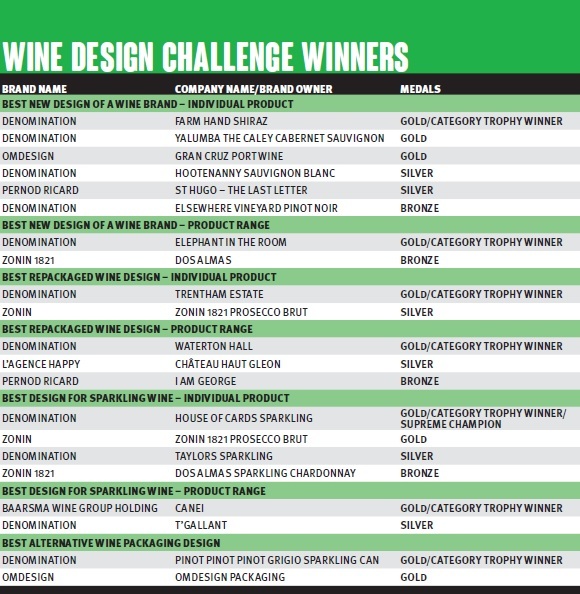 THE ELEPHANT IN THE ROOM is a cliché that journalists tend to avoid, but that wasn’t possible when it came to this year’s Wine Design Challenge and Drinks Marketing Challenge. Denomination’s Elephant in the Room was awarded a gold medal and category trophy for the New Design of a Wine Brand – Product Range category, and there were plenty more eye-catching labels on show. Judging of the Drinks International’s awards, now in their fourth year, was held in London and featured icons of the industry, PR specialists and marketing gurus. And who else to rein in the gossiping, chitchat and reminiscing than DI editor Christian Davis, who headed up the judging panel. By his side were David Cox, former chief executive of drinks trade charity The Benevolent, Bill Rolfe, director at 10 International, Louise Hill, marketing manager at Phillips Hill Wine PR and Emma Roberts, director at Eviva Communications. As well as praise for the gold medals, there were some varied opinions on certain bottle designs. Some products were described as “really mad”, “irresponsible” and one bottle was summed up quite bluntly as “just weird”. 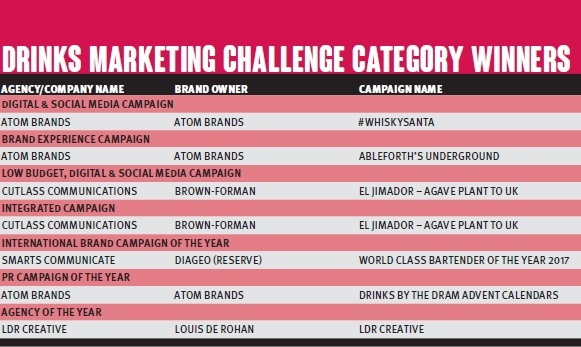 Turning to the marketing side, campaigns spanned the likes of drinks giant Diageo to El Jimador, which was rewarded for its results on a low-budget and integrated campaign. With fewer gold medals awarded in 2018, the competition for wine brands to stand out from the crowd is becoming increasingly difficult but, ironically, the elephant in the room on the day of judging turned out to be one of the most talked about products on show.